Today lets talk about stink, or how not to. 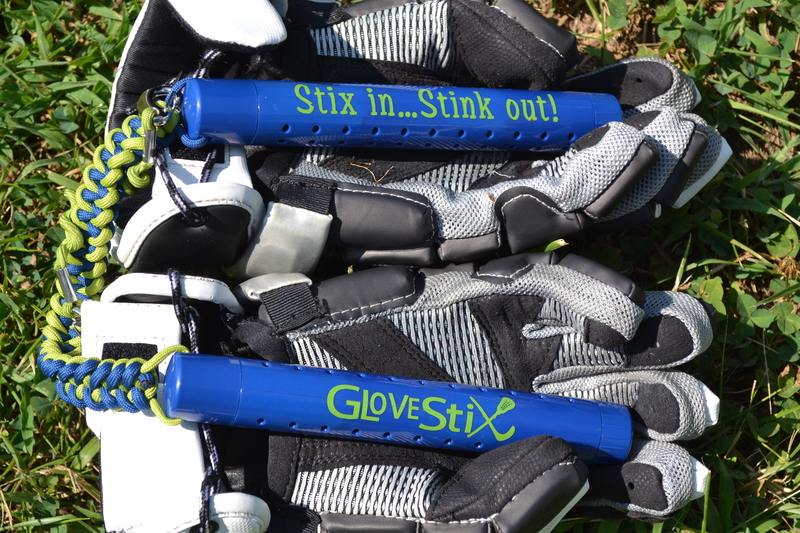 Glove Stix is a product developed by a mom in Northern Virginia, who got tired of her sons smelly gloves making her want to pass out. So she has become the director of stink or CEO of Funk. How ever you want to look at it she wants to help you out. Glove Stix are 2 plastic cylinders with perforations in them. Inside the cylinders are deodorizing bags. These bags are designed to absorb moisture and eliminate odor. I was lucky enough to have a pair sent to me a couple weeks back. I wanted to make sure I got the chance to really try these out. As most of you know I play in a Monday night Masters Summer Lax league here in Maryland. After a nice hot humid game when my gloves were nice and sweaty I put the Glove Stix in. I then sealed them up in my bag for a week. My bag stayed in my car for a few days when the temperature was in 90’s and then in my house for a few days. The following Monday I took them out kind of expecting to still smell some stink. Turns out I was wrong! My gloves had no smell to them. Also my hands didn’t get that nasty smell after playing like they usually did. 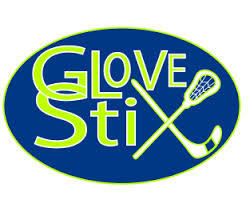 Glove Stix did just as advertised. I give these a big thumbs up. 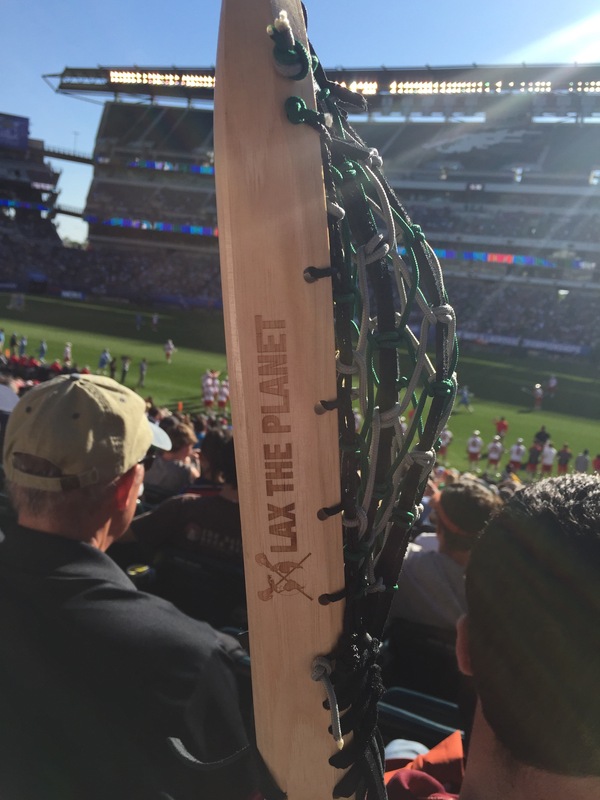 Until next time lets all #LaxThePlanet and #SpreadLax to everyone we meet. 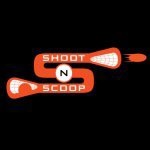 Today we are talking Shoot N Scoop! I have had mine for a little over a month and I use it daily. This training aid is awesome! First off assembly of the Shoot N Scoop is super quick and easy to put together. I would say I had it up and running in 10mins. Like I mentioned above I have been using the Shoot N Scoop for over a month on a daily basis and it has held up amazingly well. It does just like the name suggests. 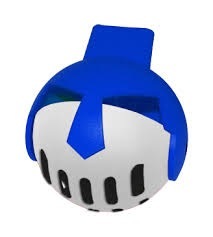 You shoot at it and it kicks the ball back out of the bottom so you can scoop it. This really helps with ground ball reps and the smaller target area helps with accuracy. I would recommend this to every youth program because as we all know ground balls mean possessions. I have 2 kids who also enjoy using it. Please check out http://www.shootnscoop.com to order yours!! It’s great for backyards, basements, and the beach! I usually like to shoot at about 60% strength. As you can see it holds up just fine. Thanks for checking out this review! Be sure to go to my IG (@proctorpac) and see what I am up to. Also check out @shootnscoop to find out what tourneys they are at this summer! 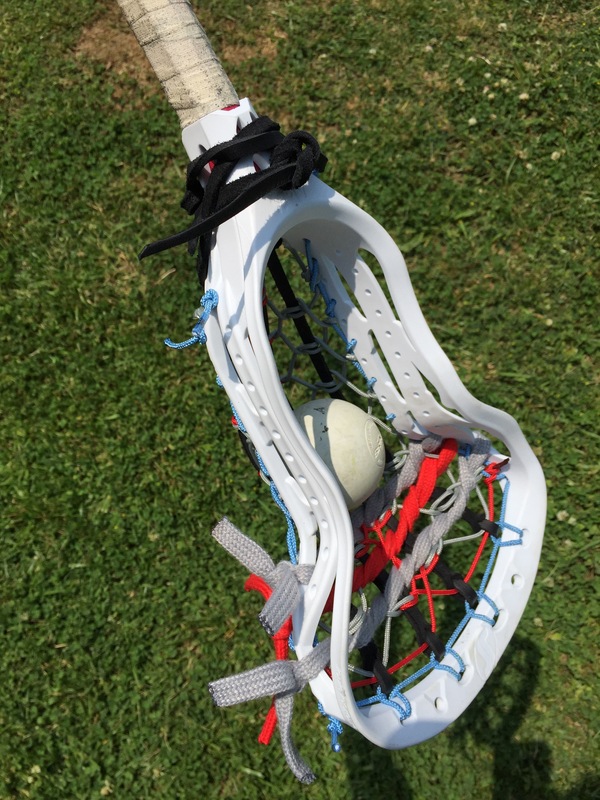 I’m sure everyone has watched my video on the Ten Minute Traditional Hero pocket that I strung in a Joule Ares. Now here is what I think of it. As you can see from the above photo it comes with everything you need. 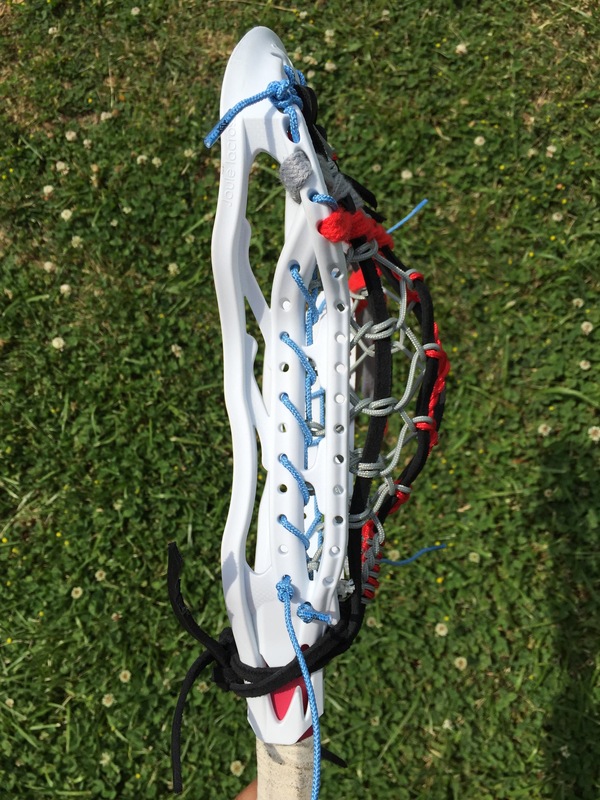 The shooters and side wall are all String King materials which is awesome. I’ve never used any traditional other than a classic so this was something new for me. It’s a really nice looking pocket and really needs very little tweaking. Using the mid rail on the Ares was my original plan but once you watch the video or if you have already you can see that it just didn’t work with this style of pocket. It was so tight in the channel that the ball wouldn’t come out. I’m guessing a classic or a six shooter would work better on the midrail. But it was worth a try. I’m not a stringer by any means but I live and die by traditional is always the way to go. I use mine in the rain and with a little maintenance they perform fine. Just a little history of my style. I used the tutorials from the Ten Minute Traditional website which is http://www.tenminutetraditional.com . It’s very easy to follow the steps from the top string all way down to the leathers. I can honestly say that this product is well crafted and top notch. If you are looking for a custom pocket then this is a great choice. They offer everything from classic traditional to a stanwick pocket. Remember that every pocket is custom made after you order it which takes time. The customer service is great and they will try to accommodate any thing you might need. You guys and gals watched the games yesterday I’m sure. But I know not everyone got to attend the fan fest or tailgate so I thought I would walk you through it. I got there at 9am which was the perfect time because I got great parking right next to Lincoln Finacial Field. People were still setting up all the big tailgate tents around. The calm before the storm for sure. If you have never been to the NCAA championship weekend I recommend you don’t worry about lax balls or tennis balls hitting your car it will happen. I couldn’t wait to meet some IG friends in person. As I’m walking in the first tent I came to was the @laxfmly tailgate. Tom could not be a nicer guy. We talked for a while about his brand and just lax stuff. He welcomed me in and said I could hangout anytime. Also I got to meet Bill who makes @coasttocoastlax mesh. Another really durable mesh that seems to keep it shape well. Be sure to check it out! I left there and was heading over to the @universallacrosse tent area to check out the Rabil Cuts. As I’m walking over I see the Thompson Brothers walking by. Got to shake hands with Lyle, Miles and their cousin Bill. Very cool guys and had that rockstar vibe. I arrived at the Rabil Cuts and watched some kids getting some crazy styles! Universal Lacrosse has everything you need over in their Tent area. Epoch, SiSU Mouthguards, ECD, Odor Gladiator and Gait Lacrosse. Also some of the best guys in their tent stringing up the new heads you buy. As I was walking around this guy that I didn’t think I know says “Hey I know that face”. I was surprised to say the least. It turns out he is the guy who runs the @universallacrosse IG account. Funny to be recognized but very cool. Nice guy took me into the tent so I could catch up with @dealy44 or as I call him Chris. Chris works for universal and is a great stringer be sure to follow along on IG. I got to see the SISU mouth guards in action and it was crazy. The guy was wearing one while selling and he could talk perfectly! For sure a must have. I ran into Jake drone Joule whom I know and he took menu onto meet the Joule Team. I got to meet the guys who run @lacrosse_times IG and those guys are friendly as can be. Now as I am wondering around chatting to folks kids and parents are looking at the Lax The Planet Traditional lacrosse Woody. I was letting them hold it and cradle this amazing hand crafted stick. I had and still have coupons for free engraving that I will be passing out at various tourneys this summer. 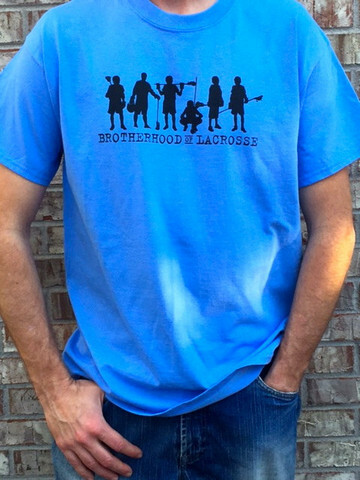 The lacrosse community is probably the friendliest bunch in the world. People that were checking out the Woody were offering me drinks and food it was nuts. I of course had my trusty Swax Lax ball to let kids pass around with the Traditional Woody. I knew of some friends that were going to be up so I made sure to meet them and hangout for a minute or two. I got to meet this kid who is one of the most dedicated players I have ever met and his dad. Justin or @jshock.18 and his dad Keith or @datlaxdad19 are great people who love them some lax. Also finally after probably 2 years of talking on IG and Twitter I got to meet @longstick33 . Ken is covering the D3 game for IL and is the authority on all things D3 and craft beer. 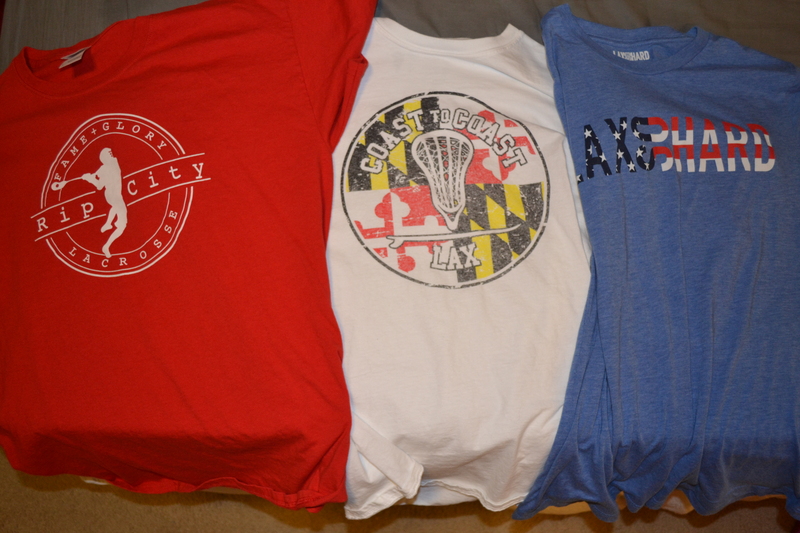 After talking to Ken I ran into @6x6lacrosse which is a new clothing company that was recently featured on IL Gear. Very cool designs that are great for everyday wear. Hoping to do more in the future with them. After all of these adventures it was finally time to go watch some lax. So I ditched the backpack in the car because it was a little big to get past security and headed in. Woody and I sat with the @BLXLax guys whom are big ND fans. Needless to say they weren’t happy with the out come. Between games I was walking out and ran into Mac form @throneofstrings. He invited me over to their tailgate. Travis or @redbeardlax was there too so it was cool to hangout with them again. Joe, Chris, Mac and Travis are fun to talk to. 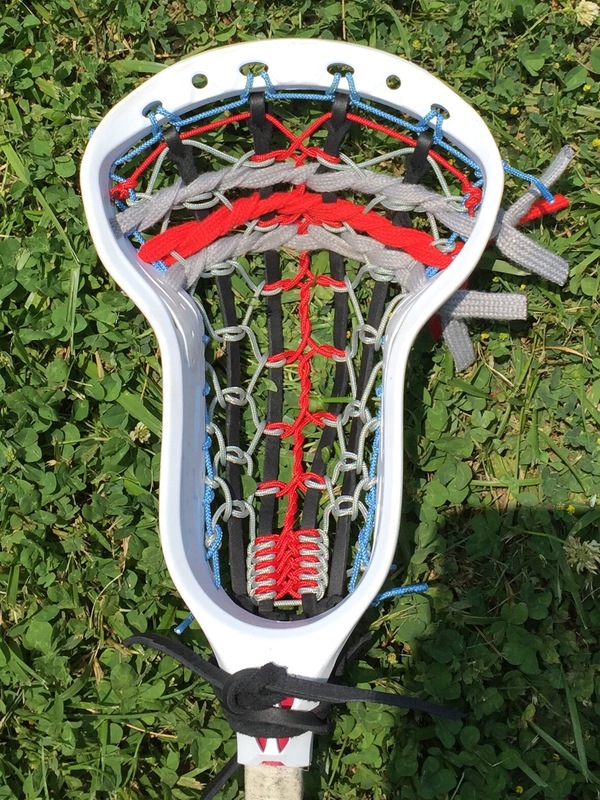 I got to check out Joes personal stick with the new Throne Lite Mesh and I was impressed. This is coming from a guy who doesn’t like to use mesh. Also the new Throne Epoch shafts are crazy nice. Then it was time to head in and watch the JHUvsUMD game. What a great game that was. I loved the rivalry between these teams. The crowd was yelling back and forth the whole game. I think Monday’s game will be a slow but great game. Lots of settled offensive sets. I know I have been posting a lot lately and hopefully you all have enjoyed reading them. I like to try and keep everyone informed of products I have either tried and liked or think are really innovative. If you all know of some let me know so I can check them out. This was a product review that I have been looking to do for along time. The S.H.O.C. 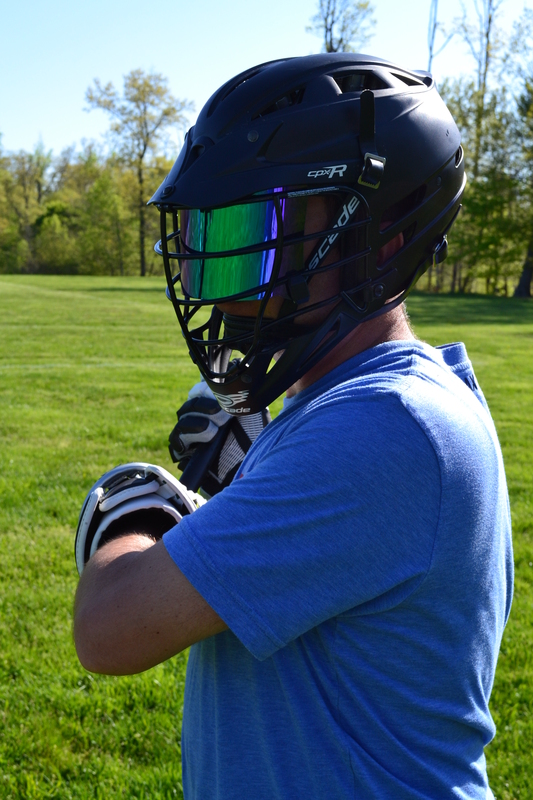 Visor is made to fit all lacrosse and football helmets. They were developed in Australia by a former football player who wanted to make a product that was top of the line but still affordable for everybody. 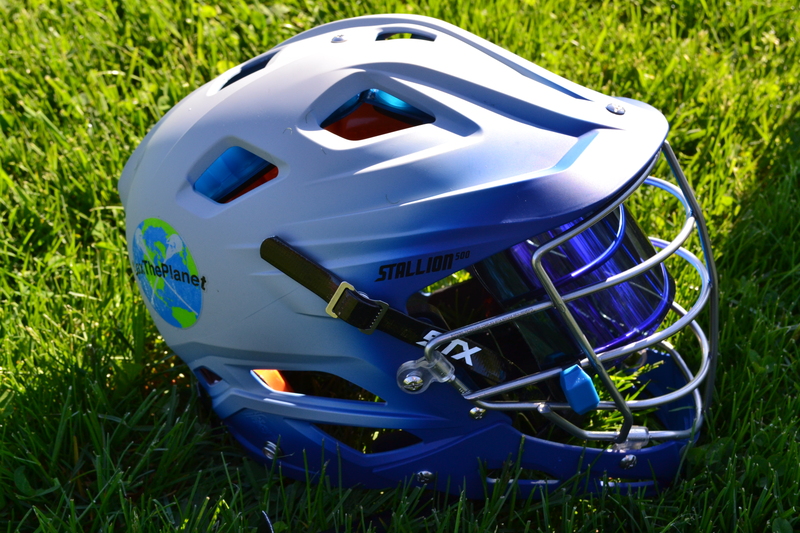 If you were to buy another companies insert you would have to cut it to fit a lax helmet. Also most of those other visors don’t come with the reflective iridium insert. That means you have to buy 2 products to make it the way you want on top of modifying it. I know a lot of leagues do not allow the mirror look but they S.H.O.C. offers 13 different colors and shades. 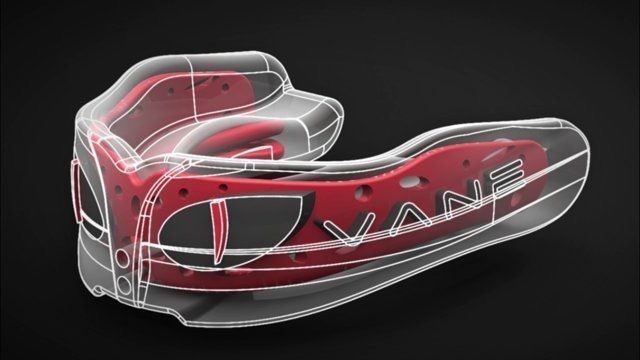 Their quick clip system make sit easy to put in and out of your helmet. These visors have a coating similar to that of Rain X to keep the rain running off. But unlike rain x it is permanent. S.H.O.C. even took a permanent marker to the visor and it wiped right off. No other visor system can say this. On to the review. I have never used any kind of visor in a helmet so I wasn’t sure how easy it would be. But I was pleasantly surprised that I had both installed in about 10mins. I have the Sky Blue in my STX Stallion and the Emerald Green in my Cascade CPXR. I know I have seen them in Cascade helmets before but never in the Stallion. These visors sit perfectly off your face. So much so that you don’t even realize its there once the helmet is on. As dark as these look from the front, when looking through them I would say they aren’t much darker than a pair of sunglasses.The day that I wore the helmets out for a shooting session it was pretty humid and maybe 72 degrees. I was breathing really hard while wearing it to see if it would fog and because I’m out of shape. I was happy to see there was not a bit of fog on them. I’ve worn many pairs of “anti fog” lenses that fogged up in a second so i figured this would also but not the case. As far as functionality I would give the S.H.O.C. visor a 10. One tip I would give is once you get the visor in the helmet and are clipping it in, don’t tighten the clips down until you get both on. Then slide them as far forward as they will go on the bar. Lets talk prices now. These are the most affordable visors out there. They range from 44.95-54.95. regular shipping is included in this price. If you think about that its really cheap considering these are shipping from Australia!! There are also different color clips you can order separately to match you helmet or just to add a little extra touch of color. I hope this gives you a little information on these really sweet looking visors. You’ve seen them on Joe from Throne of Strings helmets also. Now head over to http://www.shocvisor.com and order one. Use the coupon code proshoc to save 10% off! 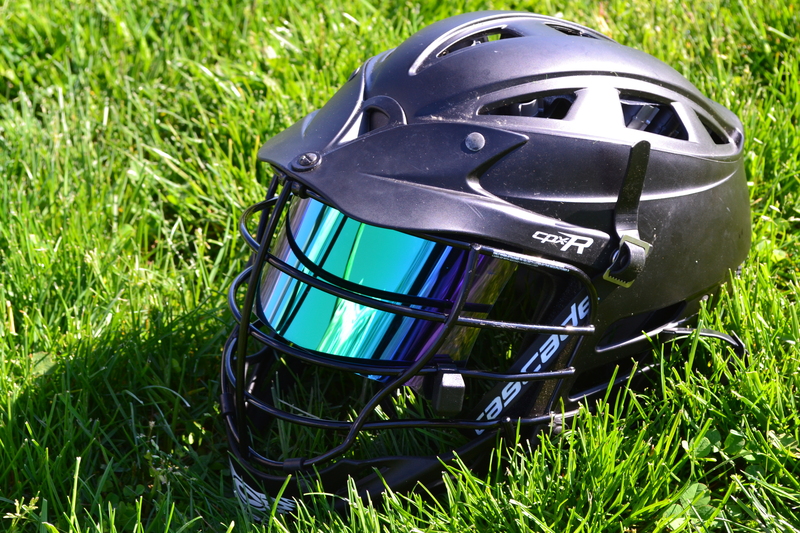 If you play football and lacrosse you can use the same visor. Once you get yours be sure to post up a pic on IG and tag @s_h_o_c and @proctorpac so we can see your sick lids! 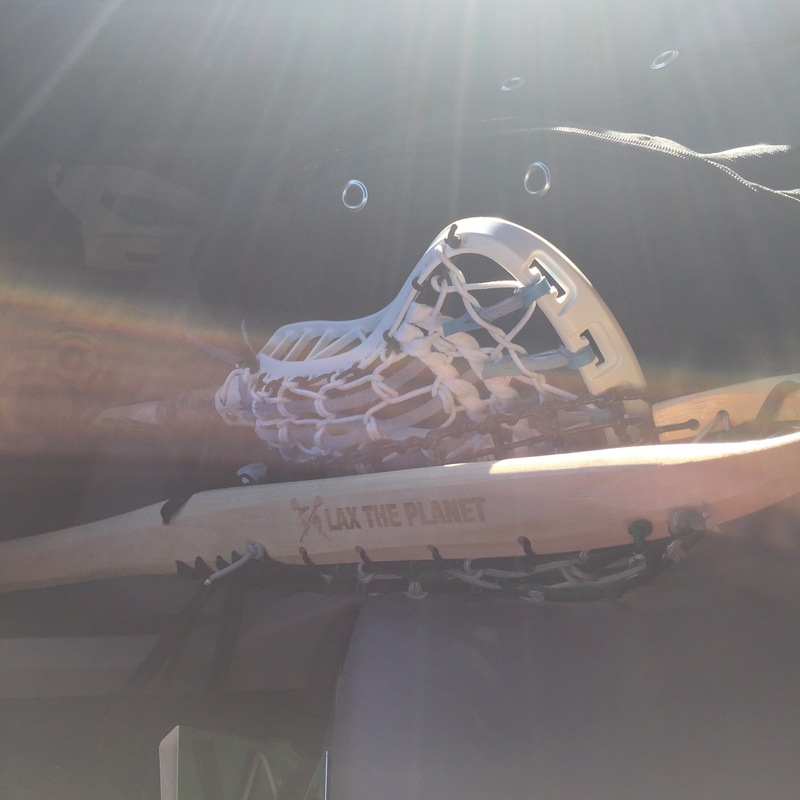 Thanks for all the awesome support with #LaxThePlanet!! You guys and gals are awesome. Keep following for more reviews, thoughts, and Interviews to come. This is a really important post to me. I have been a fan of Jovan Miller since his days at Syracuse. He was born and raised in central New York so of course Cuse was where he would want to go. When I first got on twitter he was one of the first followers I ever had. Needless to say I was honored. That was his senior year at Syracuse. After that he was drafted to the Charlotte Hounds of the MLL. My daughter and I sat near his parents when they came to Annapolis to play the Bayhawks. After the game we went down and talked to him and he signed a ball that is still in my daughters room. I recently attended a Bayhawks game which is his current MLL team and got to chat for a little while after. I have wanted to be able to feature player interviews on here from the beginning so I figured he was the perfect person to be first. These answers are directly from him word for word. 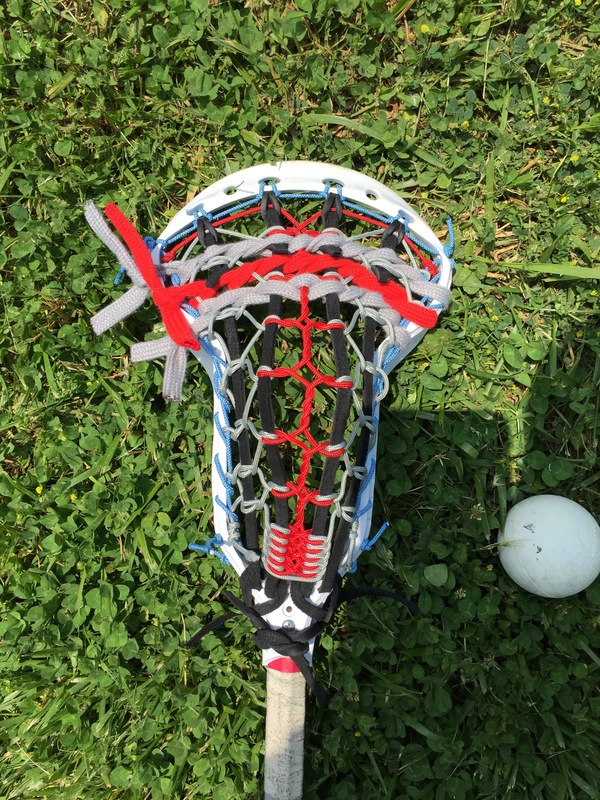 proctorpac: What age were you and what made you want to play lacrosse? Jovan: I was 13 years old when I asked to play lacrosse. I was flicking through the channels and Syracuse was playing Princeton in the National Championship. I asked my mom right after the game if she would buy me a stick. Jovan: Favorite lacrosse moment would probably be winning the 2009 National Championship vs Cornell, especially in the fashion we won it. proctorpac: Go to song to get pumped up before a game? proctorpac: Favorite place to eat when you go back to the Cuse? Jovan: I like the Brine Clutch or Warrior Evolution 2.0, Shaft I’m not too picky on. proctorpac: How has coaching at Queens University changed the way you are as a player? Jovan: I think coaching at Queens has helped me pace myself through the course of a game much better. I can dissect each possession on and off the field, and understand the game within the game so much better because I’m a coach now. 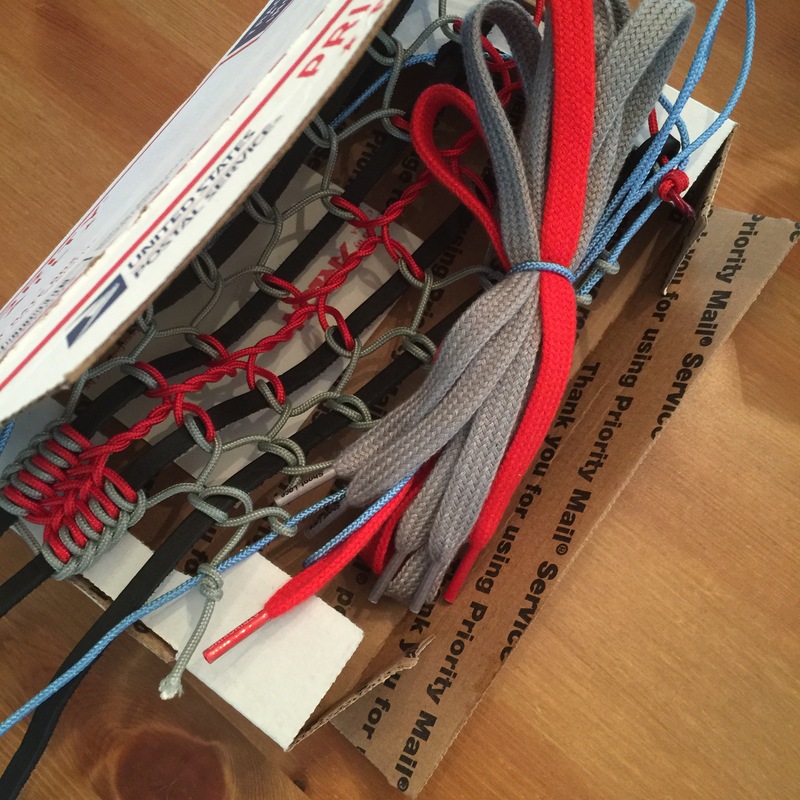 proctorpac: What do you think is the most important way we can help grow lacrosse? Jovan: The most important way to grow lacrosse is honestly making it more affordable for all walks of life. Some walks of life feel like they are being boxed out of getting into the sport because of cost. proctorpac:Tell me one thing you would want kids to know that is important to get to the next level? proctorpac: How important is it to you that your parents try and make it to every game they can? Jovan: When I played in college I think my parents coming to my games was a big deal. The four years you have to be a collegiate student-athelete are the most sacred ones, the professional games was extra. Although it is great for my fans to see who I represent with every breath but the pros has a different feel. Ok everyone I’m posting this at the request of a follower. I must make a statement to start this off. I’m not a face off guy. I’ve taken one in my life and the other guy jumped, so I technically won. That being said if I mess this up please feel free to let me know. So from what I’ve seen from you guys on IG and read the best face off head is the Warrior OG Blade. This head offers a nice flare shape to lee that ball lodged in until you can kick it out to a wing man. I’m also pretty sure the Beast himself Greg Gurenlian uses them because tribe heads aren’t allowed in the MLL. The next head that I see a lot is the Warrior NOZ. Now I know that Ben Williams from Syracuse uses this when he faces off. He is having a great season so this must be pretty good head. Another very popular head for facing off are the Tribe heads. I’m guessing because you want a lot of flex in a face off head that this head is awesome. From everything I’ve seen the Tribe heads are super flexible. Being a fan of this next head I wanted to make sure I included it. The Joule Ares in the attack class as far as I can tell has enough flex to face off with. Also having seen a few face off guys try it out at lax con I’d say it would work out well. The Ares also offers that second rail to string up a custom face off pocket on. As hopefully all of you know already, I love to help out companies that maybe some people to know about. That is the goal after all to support this game and everyone that helps it grow. I wanted to shed some light on a few apparel companies that have been on my radar for awhile now. Lets start with a relatively newcomer to the game, Fame and Glory. You can check out all their designs at http://www.fameandgloryco.com . I really like the way the designs of these shirts and sweatshirts. Highlighting lacrosse sayings like Rip City and Ground Balls. The creator Dan didn’t grow up playing lacrosse but does coach a U13 team in Denver. I recently asked him why he started this company and he said “The disappointment in the way big brands just put their name across the chest, slap it on 20 colors and stock the shelves”. I thought this was an awesome way to look at it. Dan is working on some other designs that include sports like basketball and volleyball. Be sure to check out Fame and Glory to get some new shirts and hoodies starting at $15!! Then post them on IG to show others. 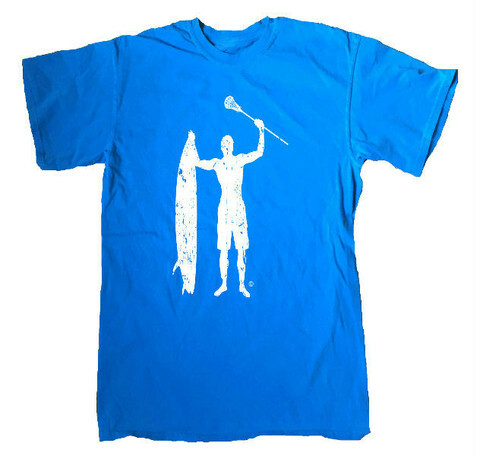 With spring here and summer approaching, I know we are all thinking about beach lax. That is what Coast to Coast Lax is all about. Their designs all have that beach style mixed in with some lax appeal. Besides how sweet the designs look, the feel is even better! They use a triblend on their shirts that basically make you not want to take them off. Some may think this is just another company but they are most definitely not. They donate a dollar from every sale to help youth teams purchase equipment. Go to http://www.coasttocoastlaxstyle.com to see their new boonie hat and long sleeve tees. Also give them a follow on IG and twitter for lots of giveaways!! Being from Maryland this is one company I couldn’t leave off. Lax So Hard has maybe one of my favorite origin stories next to Bat Man. I first noticed Lax So Hard on a twitter post from @officiallaxgirl. She had reposted an article that the baltimore sun did on the owner/designer Jennifer Vick. 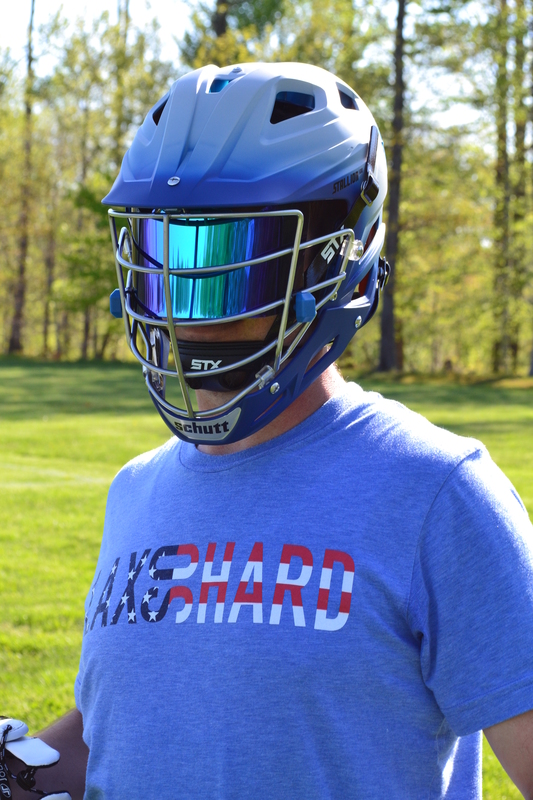 Copy and paste this link to read the entire article http://articles.baltimoresun.com/2014-08-28/features/bs-hs-lax-so-hard-lacrosse-sportswear-20140827_1_fashion-design-lax-fashion-fix . After reading it I had to get in contact with them to see how to help. Having a daughter who plays lax and likes the more girlie designs I was instantly hooked. They offer designs for Adults and Children. Shirts to socks and hats they have you covered. 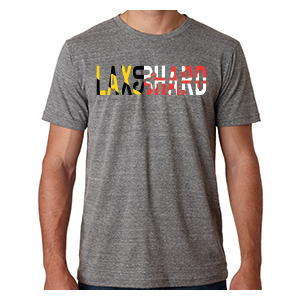 Check out their site http://www.laxsohard.com to find more of their sick designs! This Pro kit 2.0 comes with everything you need but the bucket. So after heading to Lowes your ready to go. Easy to follow instructions for assembly. I would say it took me all of 5 mins to put together. Now I did have the help of my son the 2yr old, so mine might have been a little faster than usual. Once together you simply place 4-7 balls in and close the lid. I used a cordless drill and attatched it to the included bit. Next thing I knew boom no more greasers in my house. Have to imagine this is an easy purchase for coaches and youth programs. Also parents would probably rather do this once a month then have to go out and buy new balls. This product just makes sense. Be sure to give them a follow on IG and go get one for yourself.